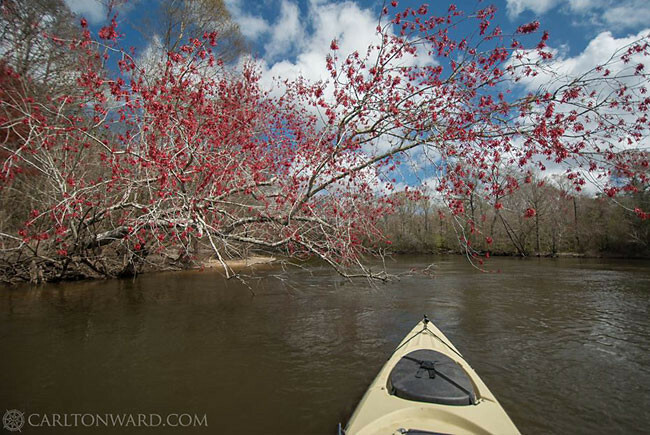 Spring can be seen in green buds along the Delaney River in the Escambia River system. 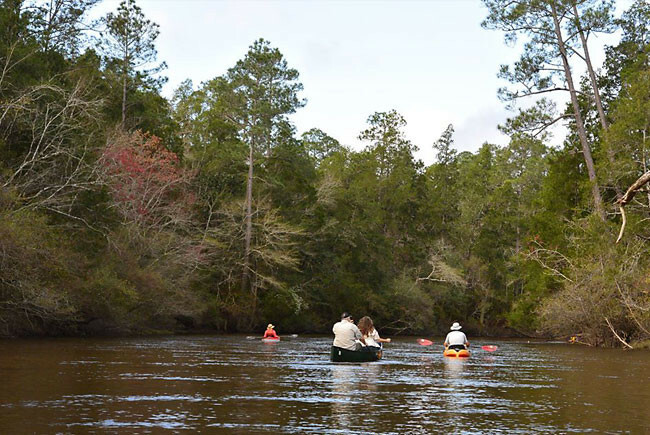 Florida State Parks Director Donald Forgione and his wife paddle a canoe down the Blackwater River. 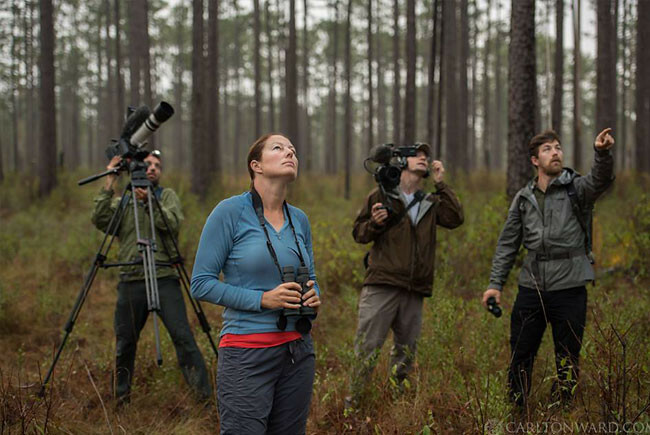 All eyes turn up to search the longleaf pine trees for red-cockaded woodpeckers on day 64 of the Expedition in Blackwater River State Forest. 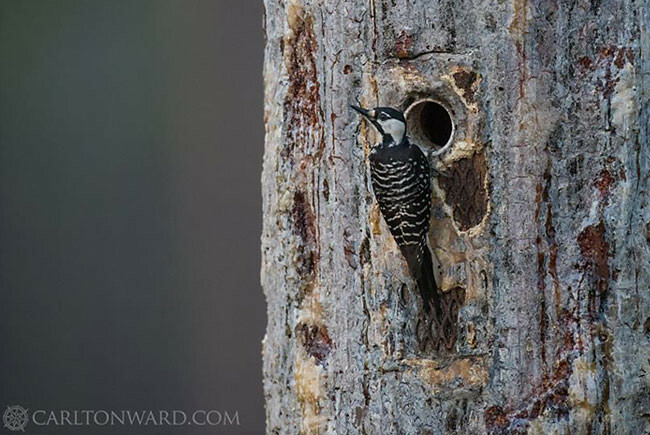 A red-cockaded woodpecker prepares to retire to its nest cavity after a long day of foraging for insects among the longleaf pines. 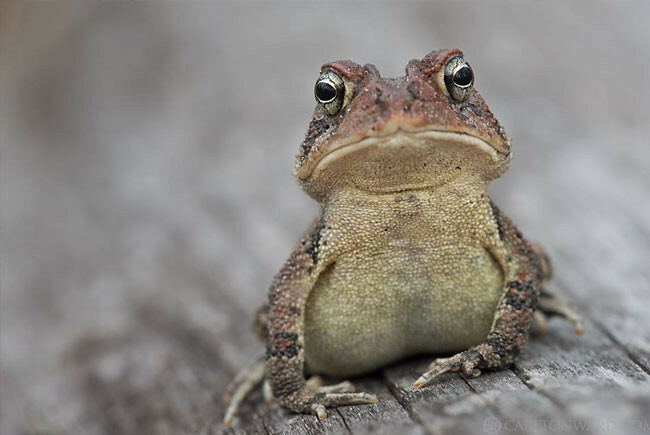 An American toad poses proudly in Blackwater River State Forest. Red maple seeds cling to their branches as the last dregs of winter leave the panhandle. From Expedition team member Joe Guthrie: "One of the most interesting sunsets Hagen's Cove, Taylor County, Florida." The Florida Wildlife Corridor Expedition has been on the trail for 900+ miles and nearly 70 days. On March 19th, they will complete their epic journey which led the team through some of Florida's most beautiful ecosystems including the Rainbow River Springs made famous by the recent congregation of hundreds of manatees. The Florida Wildlife Corridor Expedition team welcomes you to join them as they complete their journey at Gulf Islands National Seashore -- Fort Pickens at Battery Langdon Pavilion. Join the expedition team on Thursday, March 19 from 5:00 p.m. to 8:00 p.m. CDT as the team celebrates their final miles of their expedition. To RSVP to the finale, please click here. Although the Glades to Gulf Expedition is almost complete, the work of Florida Wildlife Corridor is far from over. The passage of Amendment 1 and the awareness of the need for wildlife corridors is just the beginning. 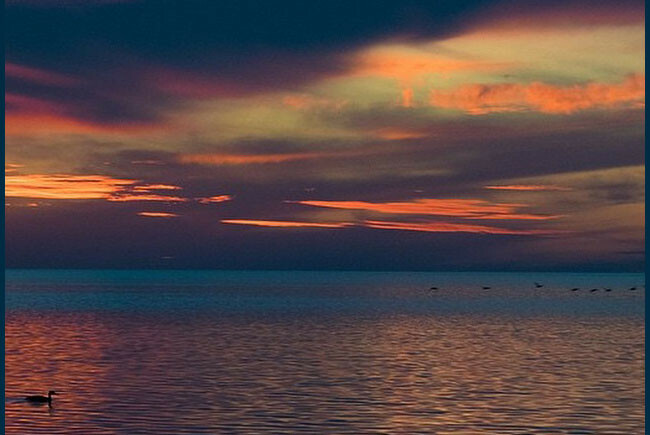 In 2014, more than 93 million people traveled to see the natural beauty we have here in Florida. We are more than just beaches. Florida is home to coral reefs, oyster beds. 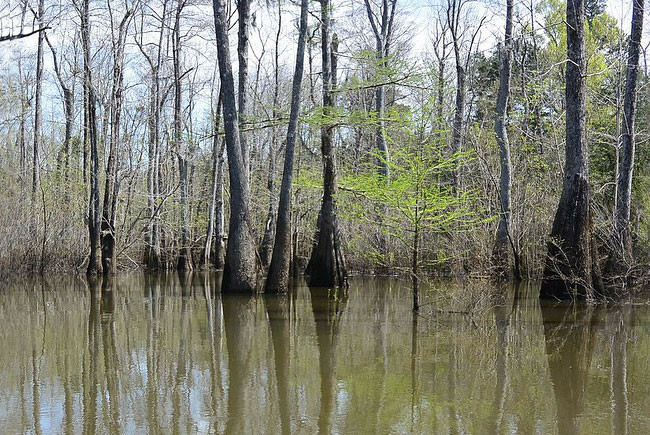 dunes, marshes, swamps, hardwood hammocks, mangroves, pinelands and scrubs. With Florida becoming one of the most populated states in the country, the journey has not ended in connecting, protecting and restoring corridors of conserved lands and waters that are essential for the survival of Florida's diverse wildlife.